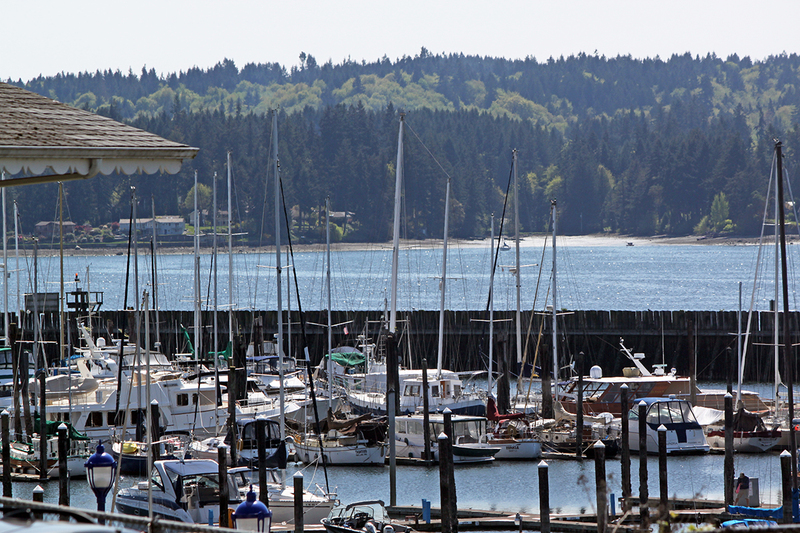 The Poulsbo Marina is one of the most popular places for boaters to visit in Puget Sound. 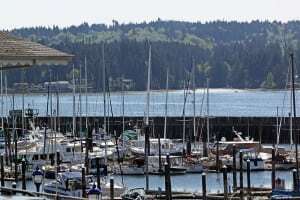 Located about an hour away from Tacoma and situated on a narrow inlet lies the city of Poulsbo. 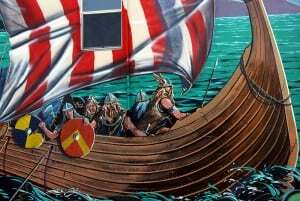 From the street names to the housing typified by clean lines and basic shapes to the 12-foot tall Norseman statue who stands at attention at the entrance of Poulsbo, it’s easy to see the city’s Scandinavian roots. Over 130 antique ships, art galleries, bakeries, professionals, restaurants and businesses reside in the downtown corridor. Poulsbo’s Norwegian founder immigrated here in the 1880s with a host of others who saw their native countries reflected in this city by the bay. In fact, until World War II, many Poulsboians’ primary language was none other than Norwegian. Still today Poulsbo retains the feel of Scandinavia, and a day trip offers Northern European flare without the hassle or expense of international travel. Whether by land or by sea, come with SouthSoundTalk to a city which is both minutes away and a world apart. Passing the 12-foot tall gatekeeper of Poulsbo, continue on NW Lindvig Way until you come to Front Street, where pockets of free parking can be found especially toward the port. Opt to stroll Front Street and leave yourself a good couple of hours to wander. Curiosities which nod to the Norwegian can be found in multiple quaint shops such as The Nordic Maid. Inside, the gift shop is teeming with specialty items including the authentically Scandinavian — plates, glassware, flatware, carvings, jewelry, sweaters, and so on — and comedic souvenirs of Viking helmets and “Uff da” (which roughly translates to an interjection of displeasure) embossed mugs. Mixed in with the collectibles and gifts are a number of art galleries. Five such establishments contribute to Pouslbo’s art scene, and on the second Saturday of every month, the city holds an art walk where art, music, drink and food combine to delight the senses from 5:00 p.m. to 8:00 p.m. Liberty Bay Gallery has been one host of the event and is a treasure trove of local artistry. Standout pieces consist of Rob Davison’s custom Cigar Box Guitars that aren’t just for looks (go ahead and pluck out a tune!) and Philip R. Abbott’s prints turned postcards for the budget-minded traveler. As you come to the end of downtown Poulsbo businesses, the Poulsbo Marine Science Center stands before you. Take a selfie with the octopus statue which is just outside the center and sets the tone for the aquarium — there will be close encounters of the ocean kind. A visit to the teensy little marine center is free, and holds a tide pool touch tank, which allows for interaction. Jellies, fish, crabs and other sea critters can be observed here, too. When hunger strikes, turn to any Poulsbo pub or restaurant, and come away satisfied. “Velkommen ’til Poulsbo.” The fourth largest city in Kitsap County honors Scandinavia’s rich culture and heritage. For lunch, take a load off at The Loft which boasts waterfront dining. If you don’t mind a wait, upper deck seating is available and situates you almost on top of the glittering marina. The American and seafood offerings are all fresh and often are a twist on the traditional — think yam fries and burgers served on pretzel bread buns. The atmosphere is beachy and laid back, which pairs nicely with the blue expanse of Liberty Bay stretching out before you. When dinner winds around, you can’t go wrong with That’s A Some Italian Ristorante. If a chill is in the air, you can still snag a table pressed right up against full-sized windows that also look out on the many boats docked on the smooth-as-glass bay. Twinkling lights and red and white checkered tablecloths read Italian romance, and act as a perfect backdrop for splitting any of That’s A Some’s mouthwatering pizzas. Everything comes home cooked, and they even have a wine shop — select a bottle from said shop and bring it to the table for your server to open and serve. Be sure and leave room for dessert! Cups Espresso & Café is right next to the Italian restaurant and has over a dozen flavors of ice cream. Shakes, smoothies and Italian sodas are also for sale — take an assortment to go and continue your tour while sampling the sweet. American Legion Park promises tranquil, picturesque panoramas of Liberty Bay. Breakaway from the main drag and walk Liberty Bay Waterfront Park. The grassy area is about three city blocks in length and parallels Liberty Bay, giving way to a short wooden boardwalk trail. To one side is a hillside sprinkled with wildflowers and greenery and topped with impressive looking homes. To the other, nothing but Liberty Bay, bobbing vessels, and the crest of the Olympic Mountains. The true gem waits at the other side of the boardwalk. Step into forested American Legion Park where traffic noise falls away and private beach access is in abundance. Picnic tables dot the trail and are ideal for enjoying lunch or taking in views of the bay before. Sunlight filters in through an emerald canopy, giving a glimpse into what the forestlands must have looked like to Poulsbo’s first settlers. 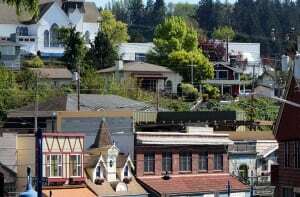 Learn more about Washington’s “Little Norway on the Fjord” by visiting Find Poulsbo and Historic Downtown Poulsbo websites. 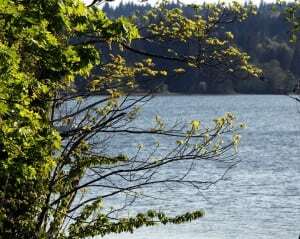 SouthSoundTalk’s “Your Guide to Planning a South Sound Staycation” is another resource with tips on what to eat, what to do and where to stay in the city of Poulsbo.